Taylor Shelden (Competitive Cyclist) and Robin Eckmann (California Giant Berry Farms/Specialized) celebrated first and second places at the Tour of Vail time trial on the last Friday of September. Both approached the inaugural event as a way to close out their road seasons. Before the race Eckmann realistically weighed his chances: “As the state [time trial] champion I’m a bit of a favorite, but it’s not my goal to peak now at the end of the season.” Eckmann’s main goals for this season included Redlands, Tour of the Gila, and the Cascade Cycling Classic. The first half of the 10 kilometer course wound through residential streets from Vail Village to East Vail and included nearly 30 turns. Racers continued along the straight Frontage Road and carried high speed into the Village to finish on East Meadow Drive. According to Dieter Drake of Anthem Sports, organizers opted against the traditional time trial route up Old Vail Pass Road in order to feature Vail Village; in addition, event confirmation occurred after the Forest Service’s March permit deadline. Third to start, Eckmann set the best time at 13 minutes 3 seconds. Shelden, the next to last finisher in a field of eight, came in four seconds faster to win. Aspen gold decorated both sides of the Vail Valley during race weekend. Fallen leaves in town became a race factor; Eckmann said he felt somewhat apprehensive in the turns because leaves can be slippery. A thirty minute start delay didn’t help, but he seemed satisfied with his result overall. “It was a tight race between the top 3,” he said. “It’s all good.” Greg Krause (Juwi Solar) took third place behind Eckmann with a time of 13:13. Since he hadn’t felt great, winning came as a bit of a surprise to Shelden. But a particular incentive motivated him that evening. “I was worried Gage [Hecht] would beat me,” Shelden said. “I’ve been coaching lots of juniors. They wouldn’t have let me live it down if he [Gage] beat me.” Shelden coached at the Boulder Junior Cycling program over the summer. Hecht didn’t participate in the program but raced against many of the kids Shelden coached. Shelden hopped onto the top step of the podium, happy with his first road win this year. The late-season win at altitude seemed a fitting yet contrasting bookend to his early February win at the Tennessee Pass Night Jam. That night-time mountain bike race took place at Ski Cooper on snow, in freezing cold, at 10,424 feet elevation. 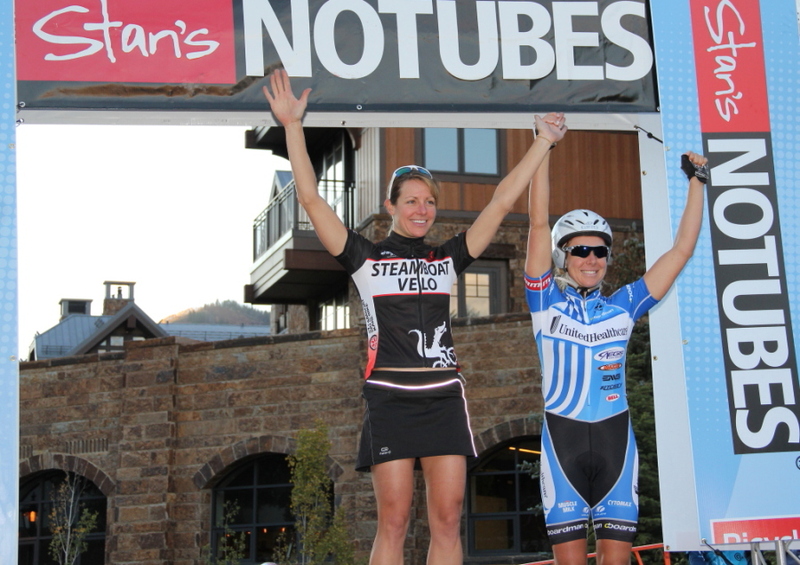 Amy Charity (Steamboat Velo) won the women’s pro category, with Anne Donley second and Jennifer Schumm (ZumXR) third. 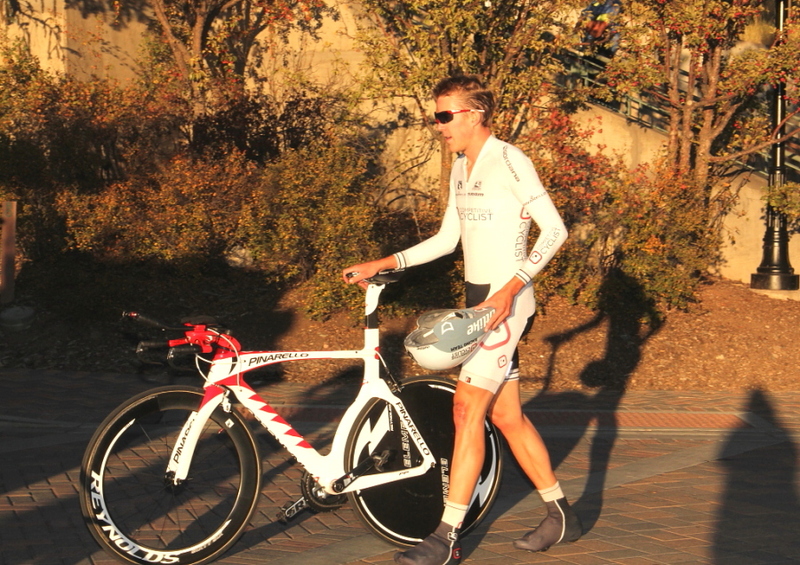 The three-day Tour of Vail began on Friday and ended on Sunday, September 30th. Saturday’s activities included a 100 kilometer Gran Fondo and King of the Mountain competition at Copper Mountain. 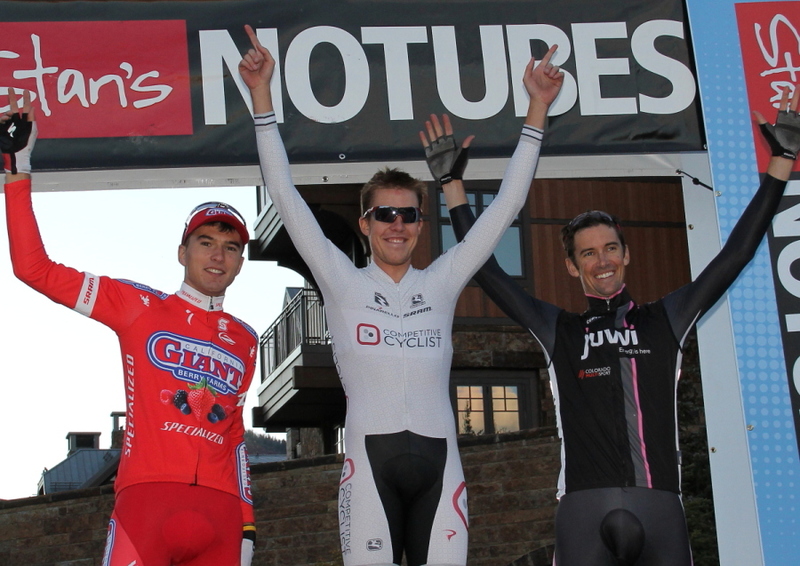 After amateur racing on Sunday, the USA Crits Championship Series concluded with a criterium in Vail Village. Eckmann and Shelden both raced the criterium, with Eckmann making it into the break-away and ending with an 11th place finish. Shelden finished in the group just behind Eckmann’s for 19th place. Tour of Vail time trial full results.